Recently I got the hairbrained idea to take my parents along on a trip with me. Nothing says love like traveling, right? Since my bank account can only withstand so much abuse and my dad has done a fair bit of traveling, I decided to take my mom on a trip first. It didn’t take long to select Alaska as our destination of choice and the summertime as our preferred travel window. (Summers off = teacher perk). For a brief moment, I contemplated making this a girls only trip, with just mom and I, but I knew my husband wouldn’t want to miss out on this one, especially since none of us have been to Alaska yet. My initial planning process included talking to a few friends and family that had already been to Alaska. Next, I ordered free brochures from Princess — as my dad has cruised with them before and had nothing but good things to say about them. Since Jon, mom and I are all cruise virgins, I thought this would be a good jumping off point. After leafing through the brochures, I figured a 7 day Northbound cruise leaving from Vancouver — taking the inside passage — would be a good place to start. From there we could tweak things as needed. Why Northbound leaving from Vancouver? Why not Seattle? I would love to go to Seattle. In fact, it’s on my travel bucket list — but I don’t want to cram in city sightseeing before I go off to the Alaskan bush. This trip is about experiencing Alaska. Leaving from Seattle also puts you that much farther away from your end destination. As for Northbound vs Southbound, I can’t say this makes a huge difference but it seems there is more availability going this route, at least with Princess. Your cheapest option on any cruise is an interior room, which means super tiny rooms and no windows. This puppy will run you $1,014 per person — which brings the total to $2,028 for one room, daily meals, and basic transportation from Vancouver to Whittier for two people. Now here’s the really fun part. Because you cannot comfortably fit 3 normal sized human beings in one interior room, we would have to get a second room and pay a single supplement for Jon. Interestingly enough, information about a single supplement is hard to find in the Princess brochures and even on their website. So I called Princess just to be sure I was giving out correct information. Dwayne, at Princess, verified that we would have to pay the same room rate for the “supplemental rate” (less the taxes and port fees). How generous of them! This would bring the second room total up to $1,823. That’s a grand total of $3,851 for 3 people for 7 days in southeast Alaska, and we didn’t even get to Denali yet. At this point, we’ve hypothetically spent $183.38 per person per day on food, a place to sleep, and the ability to cruise from Vancouver to Whittier. This doesn’t account for airfare, airport parking, excursions from the ship, or any extras we decide to buy. For a money-savvy gal like me, this was starting to make me rethink my trip budget. Since it’s likely we’ll only visit Alaska once in our lifetime, why not add on a few days so that we could actually see some of the interior of this great state, instead of just cruising by the southeastern portion? Sounds like a good idea to me! That’s where the Cruisetour options come in. This meant we were looking at 10-12 days of travel, with 2 of those as dedicated air travel days. Since Jon and my mom were both using vacation days, we had to factor this into our itinerary as well. That’s a grand total of $7,753.59 for 3 people for 10 days in Alaska! Holy shnikes! I’m positive we can spend 10 days in Alaska for less than what the cruise industry will charge us. Or, at the very least, do just about every item on our Alaskan bucketlist for that price! Did anyone notice that adding 3 days on land (10 Day Denali Explorer) more than doubled what we would spend on the previous 7 days at sea (7 Day Voyage of Glaciers)? Then there’s the issue of getting from Whittier — where the cruise ends — up to Anchorage, then to Denali, and finally Fairbanks. Princess highlights their Direct-to-the-Wilderness Train, which definitely sounds awesome, but it clearly comes with a price. 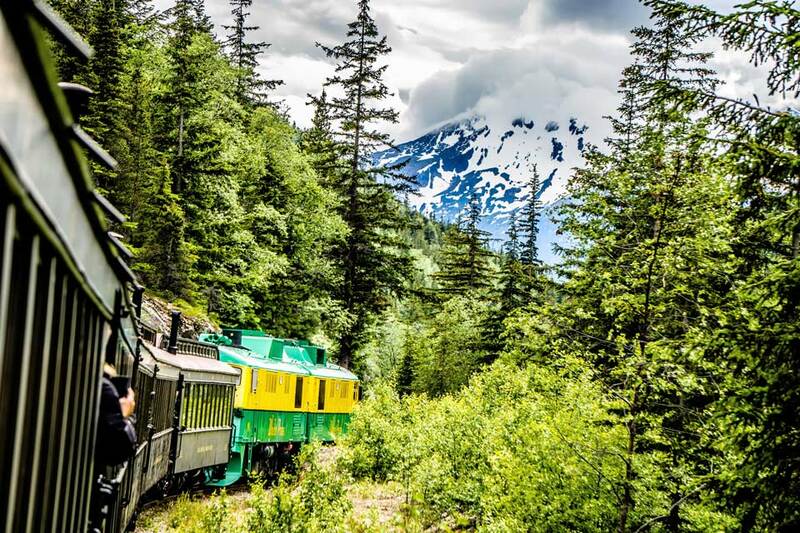 When I searched for a similar train, I found that I could go from Whittier to Anchorage for a mere $86 per person. Then I’d pay an additional $171 per person to get me to Denali. But let’s not forget that we also need to go from Denali to Fairbanks, where we will head home. Tack on an extra $75/pp for that. Well shucks….that’s only $996 for land transportation for all three of us! Right now I’m only coming up with $1,890 worth of extra expenses for the land portion of the cruisetour (less taxes and fees). However, I could save an additional $500 just by choosing to stay at a locally owned lodge over the pricier Princess Lodge. Keep in mind, I didn’t include food prices into this, but surely we won’t be eating $2,000 worth of food in just three days. So please, someone tell me where all my money is going? Oh wait, I know…the cruise industry! Worldwide, the cruise industry had revenue around 35.5 billion dollars in 2016. The North American market, or people cruising from the U.S., Canada or Mexico, account for 56% of that number, or roughly 19.88 billion dollars. While I couldn’t pin down exact numbers, I read that Alaskan cruises account for approximately 4-7% of the total cruise industry. Because I’m a numbers geek, let’s do some quick math. $19,880,000,000. That’s a gigantic number. Let’s subtract a modest 4% (percentage of Alaskan cruises in the North American industry). That equates to $795.2 million dollars. That must mean Alaska is making bank by allowing hundreds of ships to port in their cities. Right? Wrong! The most recent report on annual revenue for the entire state of Alaska shows that 26.7 million dollars are collected for Commercial Passenger Vehicle tax and Large Passenger Vessel Gambling tax. This only accounts for 2.62% of Alaska’s total state revenue. (To put that into perspective, Alaska collects nearly 3 times more money on tobacco sales, than it does from the cruise industry.) Also bear in mind that 18.5 million dollars, or 1.82% of revenue, is actually paid by you, the cruise passenger. It’s part of those “taxes and port fees” that every cruise line adds on. So the cruise industry isn’t losing money on this deal, but yet they think they have the right to tell local towns how they can spend their money. Currently, the city of Juneau is stuck in a legal battle over how it spends the $8 per-head passenger fee. I know people will argue that some money getting funneled into the Alaskan economy, is better than none, but I’m not quite convinced. Do a quick Google search and you’ll come up with plenty of information on the cruise industry and how they basically run the small port towns they stop in. Did you know that there are 3 main companies that run the port lectures on cruise ships and they get kickbacks when you shop at stores they recommend? As if that’s not enough, they try charging businesses thousands of dollars to be featured on the tourist map. But if you refuse to pay, you’re basically blacklisted. That’s just nuts to me! Are Cruises Horrible for Everyone? No, I am definitely not saying that. What I am saying is that you need to do what is best for your travel style and budget. Cruising to Alaska has many downsides for what my group of 3 adults really wants out of this trip. Without the additional land days, you actually see very little of our country’s largest state. But be forewarned that adding days on land more than doubles your fare. Is it any coincidence that the average household income for cruisers is $109,000 a year? An Alaskan cruise vacation is not cheap! Clearly, there is a price to be paid to have everything bundled together for you. It takes the legwork out of planning your trip. Some people want that or even need that. Not me. I prefer to tailor my trips based on personal preferences, rather than a pre-selected list of activities. Also, my mom dislikes large masses of people and I loathe bratty children, so I’m not sure being on a ship with 3,000 other people during summer break is a wise choice. I’m also the type of traveler that packs one carry-on bag. Total. How the crap am I supposed to pack an evening gown, along with my other clothing in luggage that small? And then there’s the shoes, jewelry, etc that go along with formal wear. Call me basic, but I’ll pass! But perhaps the biggest reason I won’t cruise to Alaska is that I want my money to stay local. Obviously, this won’t always be the case, but it’s something to strive for. This is why I prefer to stay in Airbnbs or locally owned lodges or hotels. It’s also why you won’t find me eating at chain restaurants or stopping at Starbucks, unless it’s my only option. Jon and I try to eat local, organic food as much as possible in our day to day life, so why would it be any different on vacation? But even if locally sourced or organic food isn’t an option, at least we know we’re supporting a local entrepreneur as opposed to big business. (I warned you I was a crunchy granola.) The same thing applies to our other travel expenditures. Be it bear viewing, sea kayaking or even whitewater rafting — we’d like to spend our money with local businesses. While there is a possibility of booking adventures with small businesses even as a cruise passenger, I can’t be certain that the cruise line isn’t getting a chunk of my money. And for what? 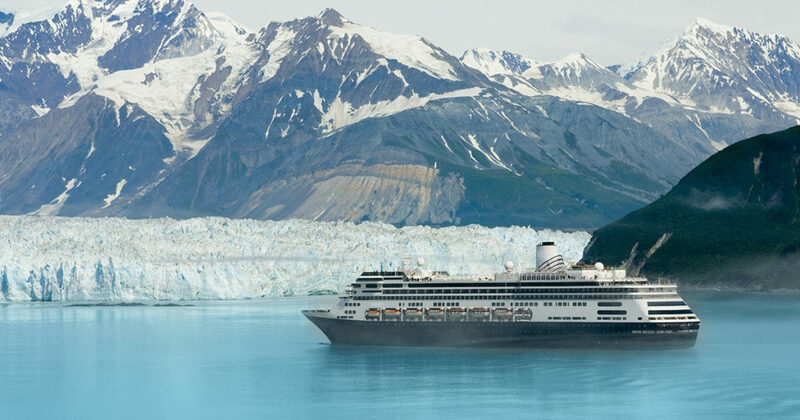 So are Alaskan cruises horrible for everyone? Absolutely not! They can be a great option for some people, but right now, in this stage of my life, I am not that type of people. If you’ve seen my Instagram stories lately, you might’ve noticed I’m in the planning stages, which I truly love. In the meantime, I’m employing several tactics to find the best deals. I’m also using my “Go-To” strategies for other aspects of the trip. First, this trip will be paid for with cash or we wouldn’t be going. Second, I’m using credit card rewards, like airline miles, points and free hotel nights to help reduce costs when possible. I recently opened an Alaska Air credit card which gives you 30,000 miles after spending $1,000 within 90 days of opening the card. I plan to book something for the trip using the card, pay it off in full (using cash from savings) and then gain the miles, which will then be used towards our flights. Next, I’m looking for coupons or other deals that can save money, but only if we planned on doing it in the first place. One example is the long-term parking we use at the airport. I can get a coupon straight from their website and save mucho dinero with the click of a button. Lastly, I’m using the power of the Internet to search for low-cost, or even free things to do in Alaska. This is a simple, but often forgotten trick that can be used anywhere you go! Want to see a glacier up close and personal? Easy-peasy! I found a list of the seven best glaciers you can see, or even walk to, for free! Or what about watching the World Eskimo Olympics in Fairbanks? Admission is free until 5:00 pm, but the evening games will only cost $13 per person for Jon and me, and $10 for mom. These are just a few examples of things that get overlooked or missed entirely if you’re basing your day around the schedule of a cruise ship. Remember, you’re only one person out of a few thousand when you take an ocean cruise. In the meantime, there is still a lot to be planned, but I’m enjoying the process and looking forward to a vacation that is truly one of a kind! Be sure to stay tuned for future posts on how and what we plan for our travel style and our budget. And once we’re back, I’ll be sharing our successes, our failures, and even our total cost breakdown. With that being said, I’d like to know, if you’ve been to Alaska, did you cruise? What are your top travel tips or things to do? Authors note: No part of this post is sponsored or affiliated with any group or business, whether mentioned or directly linked. This post is not meant to shame or place guilt on anyone who cruises. It is merely to express my opinion and shed some light on the darker side of the cruise industry. We visited Alaska in September 2017. We took the Norwegian land and sea cruise starting from Fairbanks to Denali to Anchorage and then cruised the coast ending in Vancouver. This trip cost more than going to Italy for 16 days. It was a beautiful trip, but I would probably only go once. I was also a cruise virgin and enjoyed the land part more than the sea. During the cruise you had limited time off of the boat and the ports were tourist towns full of shopping. I wanted more hiking, whale watching and sight seeing. I really couldn’t agree more. My parents did the fancy cruise up there and it made me want to go so badly and when looking further into I saw how expensive and how little you get out of it. Hoping to road trip it up there soon!! As a longtime Alaska resident (48 years, grew up in Anchorage, currently live in Sitka, have lived in all corners of the state), there are better ways to see Alaska than the big cruise ships. Many people book trips on the Alaska Marine Highway System (state ferry), where you can get off and explore without having to worry about being back on board by 3 p.m. because the cruise ship arrived at 6 a.m. before anything was open. Many of Alaska’s larger communities have Alaska Airlines 737 service from Seattle (we also get smaller planes from Delta here in Sitka). You can fly on 737s to Juneau, Sitka, Ketchikan, Petersburg, Wrangell, and Yakutat in Southeast Alaska, and from there you can take day trips. There also are smaller boutique cruises that spend a little more time in the communities. Don’t forget, Alaska is a big place. Most cruises only go to Southeast Alaska, which is an area about the size of Florida. A cruise will only scratch the surface of an Alaska exploration. If you go to Southcentral Alaska, make sure you get out of Anchorage because there is so much more to see. Hi Charles! Thanks for your comment. I have looked into the Alaska Marine Highway a bit, but also planned on comparing flights to different towns/areas. I read that 1 of every 50 people in Alaska has their pilots license, which is pretty neat. I lived in Alaska. There are plenty of free things. Go to Pioneer Park in Fairbanks. Hike the Savage River Trail in Denali Park. Go to Talkeetna. For a really interesting adventure go to McCarthy and the Kennicott Mine. Go to the Chena Hot Springs. So many things that are free or inexpensive. Unfortunately all hotels or overnight stays are expensive unless you are willing to camp with n the summer. Remember that Late July and August are usually cold and rainy (fall) but Late May and early June are nice (especially in Fairbanks) and cheaper. Thanks for the suggestions, Karen! We’ll be there in early- mid July so hopefully the weather will be decent for us.